It's that time of year again for The Legends Toy Run! 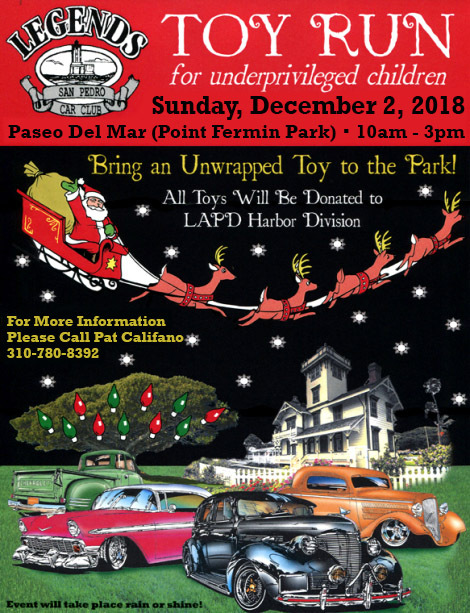 Meet us at Point Fermin Park between 10am and 3pm and bring an unwrapped toy for an underprivileged child. All presents will be donated to the LAPD Harbor Division.